Studies the biology and evolution of retroviruses, including HIV-1, and the genetics of host–virus interactions. The biology and evolution of retroviruses and eukaryotes are closely linked. Bieniasz seeks to define how host genes influence the replication of retroviruses, with an emphasis on human and primate immunodeficiency viruses. His lab seeks to characterize the host functions that retroviruses mimic, manipulate, and otherwise exploit, as well as the defenses cells have evolved against retrovirus infection. The consequences of retroviral infection are diverse, and range from lethal immunodeficiency to benign insertion into the host genome. 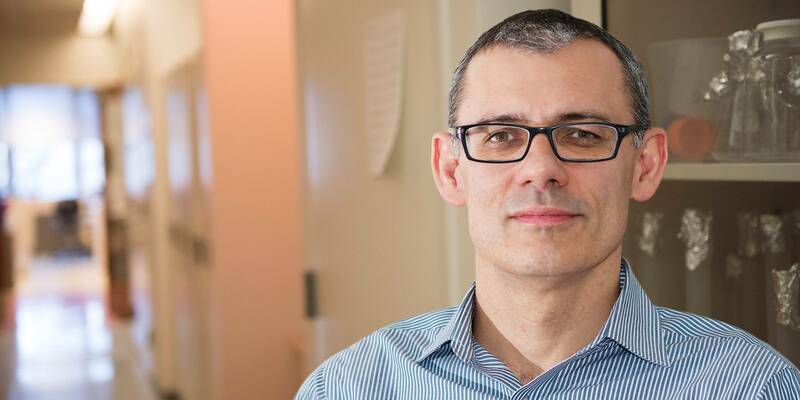 In addition to determining the functions of viral genes and proteins, Bieniasz’s research seeks to define how the replication of retroviruses is influenced by host genes and pathways. Some host functions are manipulated or exploited by retroviruses to enable replication, while others have evolved specifically to provide defenses against retrovirus infection. A central aspect of Bieniasz’s work is to define how virus components are generated and assembled into infectious particles. His earlier work, using biochemical, genetic, and imaging approaches, revealed many details of the virus particle assembly process, including the recruitment of host proteins that drive assembly and particle budding. He is currently interested in defining how viral RNA splicing, stability, transport, translation, and packaging into virions are regulated. Another major area of interest is the intrinsic host defenses against retroviruses. Throughout their evolution, most eukaryotic organisms have frequently been colonized by retroviruses, and selection pressures imposed by ancient retroviral infections are likely responsible for shaping the array of host defense mechanisms that currently influence susceptibility to modern retroviruses such as HIV-1. The Bieniasz lab works on several types of intrinsic defenses to understand the mechanistic details by which these processes inhibit retrovirus replication. Two such inhibitors, discovered in the Bieniasz lab, include tetherin, which inhibits the release of a wide range of enveloped viruses from the surface of infected cells, and Mx2, which targets the capsid of HIV-1 to inhibit viral entry into the nucleus of target cells. New types of antiretroviral defenses and the mechanisms by which they work are currently being investigated. Infection of germ line cells has left a fossil record of ancient retroviruses, and Bieniasz has pioneered the field of “paleovirology” by reconstituting functional versions of extinct retroviral proteins. Understanding how ancient retroviruses were extinguished may give clues about how to combat modern viral infections. The Bieniasz lab is also working to derive more useful animal models of AIDS virus infection in monkeys and mice. Recently, his lab developed an HIV-1 strain that can cause AIDS in macaques. These new animal models should provide testing grounds for new forms of therapy and vaccination. Kutluay, S.B. et al. Global changes in the RNA binding specificity of HIV-1 Gag regulate virion genesis. Cell 159, 1096–1109 (2014). Hatziioannou, T. et al. HIV-1-induced AIDS in monkeys. Science 344, 1401–1405 (2014). Kane, M. et al. Mx2 is an interferon-induced inhibitor of HIV-1 infection. Nature 502, 563–566 (2013). Soll, S.J. et al. Identification of a receptor for an extinct virus. Proc. Natl. Acad. Sci. U.S.A. 107, 19496–19501 (2010). Perez-Caballero, D. et al. Tetherin inhibits HIV-1 release by directly tethering virions to cells. Cell 139, 499–511 (2009). Scientists have discovered a peculiarity in the genetic code of HIV that might explain how this and other viruses evolved ways to dodge our immune system. The findings could make it possible to develop safer vaccines. Some viruses can insert their genetic material into the genome of their host, creating a genetic fossil record. Researchers have uncovered how our ancestors may have wiped out one such virus around 11 million years ago.